Caulfield Library has been named the winner in the academic category for the 2019 Library Design Awards given by the Australian Library and Information Association (ALIA). The team at John Wardle Architects was behind the design and dramatic transformation of Caulfield Library. 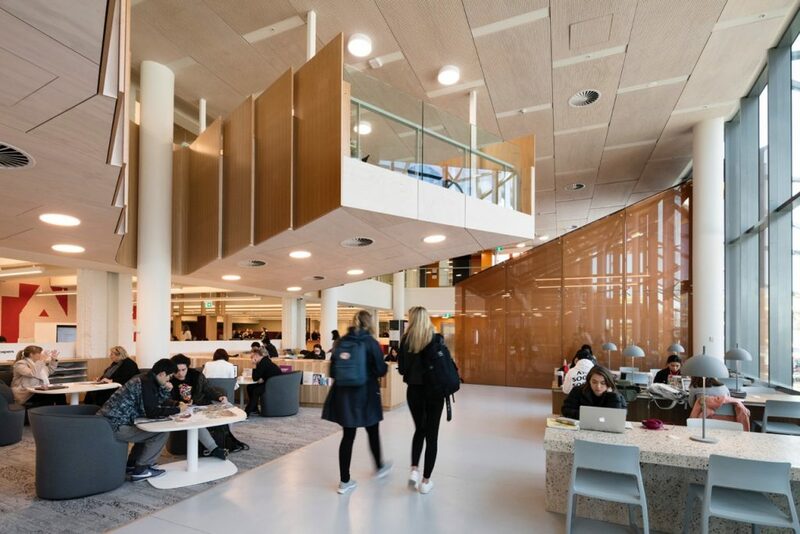 Key aims of the Caulfield Library redevelopment included doubling the capacity from 750 to over 1500 seats, bringing Library staff together into a single workspace, and improving its integration with the campus and landscape to facilitate universal access and activation. The project has created a welcoming and light-filled focal and congregation point for the campus. The Sir Louis Matheson Library also received a highly commended award. Both Caulfield and Matheson libraries were refurbished in 2015-2017, as part of Monash University’s plan to create engaging, compelling and stimulating campus environments. Learn more about our new-generation libraries.